​The Flood Masters know that time is valuable in the restoration business- that’s why we will NEVER use an answering service. When you call us for you water emergency, you will always be directly connected to one of our experienced and professional team members. Within an hour of your call to us-or less- a team of restoration experts will be at your property to offer our free assessment and quote, or to simply get to work! There are many reasons the resident of DC and surrounding areas trust The Flood Masters – and one of those reasons is because we are licensed, insured and certified to work on your damaged property. 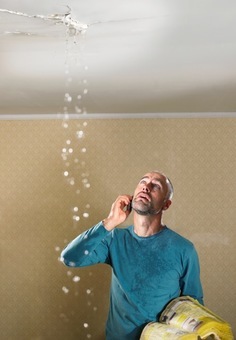 If our home and residence is experiencing water damage call The Flood Masters to speak directly with a certified, licensed, trained and insured team member. They will get technicians out to your property and get your home back to the way it was in no time! You can count on The Flood Masters to always act fast, and do the best work in the Washington DC area. We have over 50 years of experience, and have seen it all! There’s no water damage job too big, or too small for us. From the small job where the bathtub overflowed, to the larger job where there was severe flash flooding and the entire home was damaged. We have the staff, the skill, the equipment, and the experience to get the job done right. ​Remember- we are quite literally always here for you and just a phone call away!! If you have damage to your home, getting to it as soon as possible is the best thing you can. We don’t care if it’s the middle of the night or Christmas morning- if there’s a water emergency we want you to call us so we can get to the water as quickly as possible. Our technicians and trucks are ready and waiting!! The Flood Masters will also make sure we stay with you for the entire process- we will communicate and walk you through everything. We know it can be overwhelming-the last thing we want to do is add more stress. Call The Flood Masters today!